In January 2007, the Russian President Vladimir Putin met German Angela Merkel. Putin brought his Labrador Koni into the press conference with Merkel. Even though Merkel has no fear of the challenges that she face in governing the country, she is reportedly fearful of dogs since one attacked her in 1995. 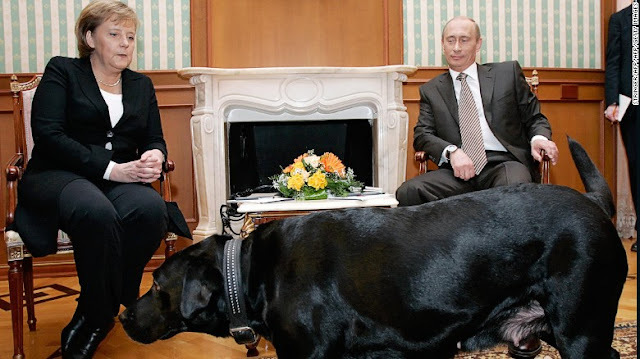 In 2007 meeting, she was photographed looking distinctly uncomfortable when Putin brought his large black Labrador Koni into the meeting at his summer residence in Sochi, Russia. Many suspected that Putin deliberately brought the dog as Merkel has well-known fear of dogs.